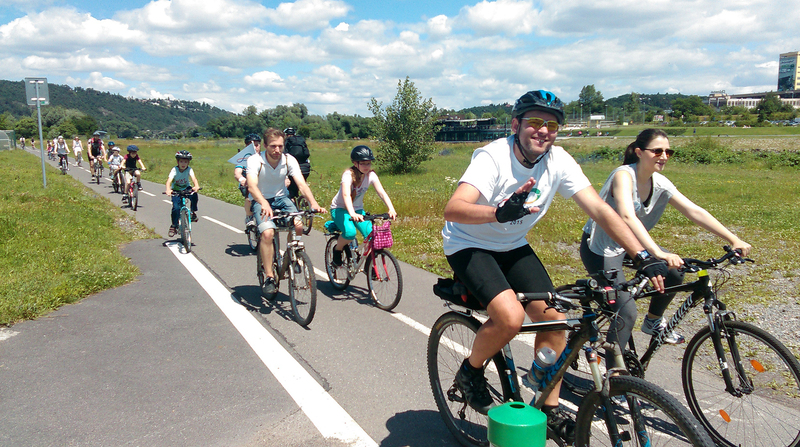 FFWPU Czech Republic: On June 28, more than 70 people—men, women and children—mounted their bikes or donned their hiking boots and departed on the Czech leg of Peace Road 2015. 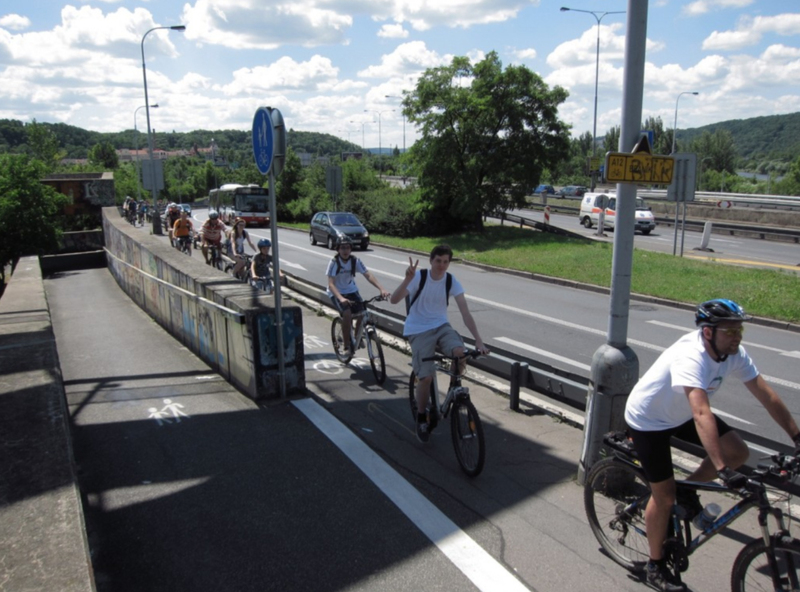 The route they followed went 26 kilometers from Prague city center to a nearby town, Dobřichovice, on bicycle trails along the rivers Vltava and Berounka. A group of those without bikes took a shorter route of 7 km by starting their trip with a short train ride. The youngest cyclist, Charlotte Musil (7 years old) had no problem keeping up with everybody over the whole distance. At the destination, the campers’ restaurant Weir of Good Hope, we heard speeches by our National Leader and the UPF Secretary General in testimony to True Father as a peacemaker. For the finale, we celebrated the victory of Peace Road by cutting a cake and having a BBQ party.